Is a picture worth a thousand words? David Phipps tries to explain knowledge mobilization and social innovation more succinctly than that. Une image vaut-elle mille mots? David Phipps tente d’expliquer la mobilisation des connaissances et l’innovation sociale de façon plus succincte que cela. 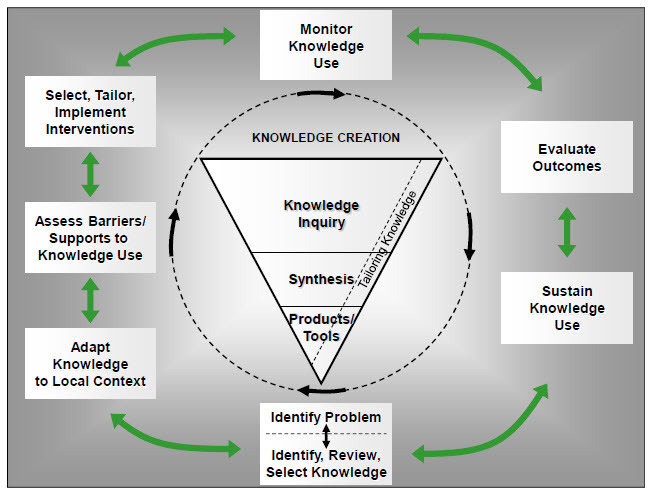 On March 13, 2013, I published that knowledge mobilization helps make research useful to society. I tried to make it simple so anyone can understand why we do what we do. And now for another over simplification but one that hopefully explains how we do what we do. We were asked by the reviewers to provide a diagram of this relationship. This was a daunting task. Many diagrams of knowledge mobilization type activities are necessarily complex reflecting the multi-directional, multi-stakeholder, multi-disciplinary (mutli-everything!) nature of our work. On the left is a model from: Bennet, Alex and David Bennet. 2008. 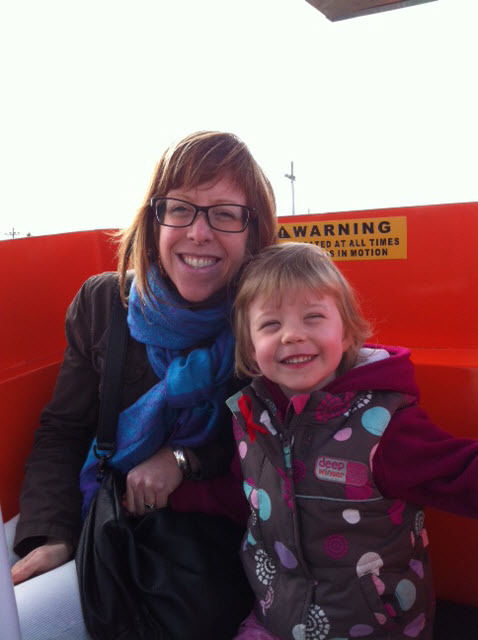 Knowledge mobilization in the social sciences and humanities: moving from research to action. Frost, West Virginia, USA: MQI Press. On the right is the KTA model from: Graham Ian D. et al. 2006. “Lost in knowledge translation: time for a map?” J Contin EducHealth Prof 26(1):13-24. But remembering the post on March 13, 2013 … keep it simple stupid. So we came up with the following. 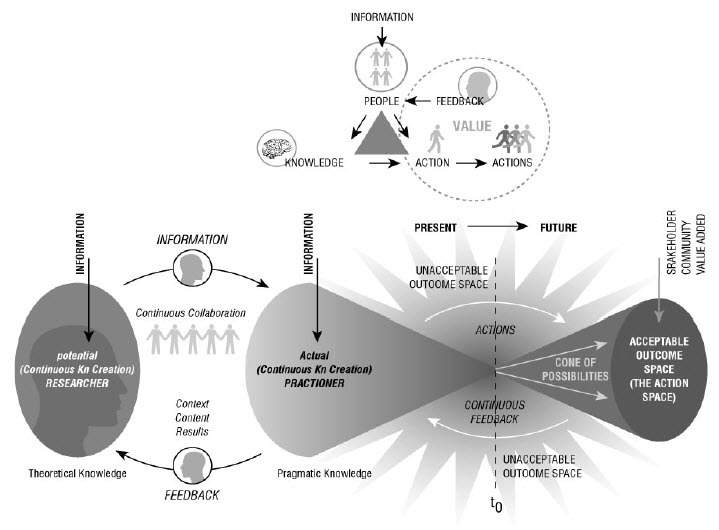 A drastically oversimplified diagram illustrating a complex process but it does show that knowledge mobilization is a process that brings communities and campuses into a shared space so they can collaborate and hopefully enable social innovations. 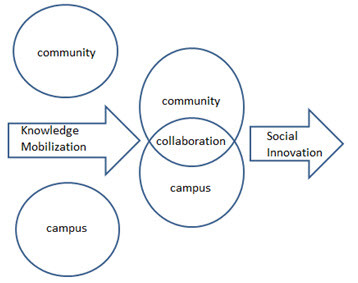 Knowledge mobilization is a process that produces community campus collaborations which can enable social innovation. In this case a picture is worth only 15 words.